Participation in Space/Time is open to experienced artists and selection is through an open call process. Participants are paid a fee to attend the retreat. The application process for the March 2019 Space/Time has now closed. Find out about the artists taking part here. The next Space/Time will be in October 2019 and application information will be available in June. 2018 (October) Sabhal Mòr Ostaig: Teaching Artists. Artists:Una McDade, Tina West, Martyn Dempsey, Hazel Blue, Alison Muir. Presented in partnership with SDTN. 2018 (October) Cove Park. 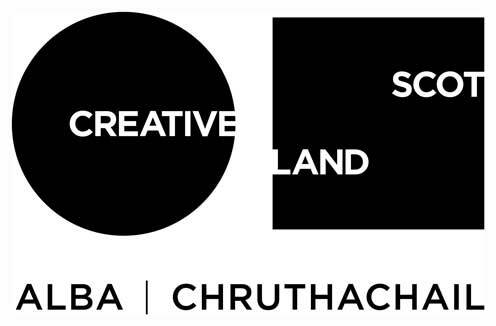 Artists: Sharron Devine (theatre maker), Ross Whyte (composer/sound artist), Eoin Carey (photographer), Pat Law (visual artist), Nichola Scrutton (composer/sound artist). 2018 (February) Swallow Theatre. Artists: Carol McKay (author), Claire Halleran (theatre designer), Ewan Robertson (sculptor), Gillian Brent (sculptor), and Harry Harris (singer/songwriter). 2017 (November) Cove Park. Artists: Elaine Kordys (film-maker), Hanna Tuulikki (visual artist), Lynda Radley (playwright), Mary Bourne (sculptor), and Tam Dean Burn (actor and writer). 2017 (June) Durhamhill. Artists: Donna Rutherford (theatre maker), Ian Spink (choreographer and director), Jenna Watt (playwright and director), Kirstie Cohen (visual artist), Sophie Bancroft (musician). 2017 (February) Cove Park: Older Emerging Artists. Artists: Annie Peel, Beatrix Wood, Frank McElhinny, Ian Cameron, Kate Clayton, Lesley Wilson. Presented in partnership with Luminate, a-n and Cove Park. 2016 (October) Cove Park. Artists: Anthony Green (composer), Flore Gardner (visual artist), Kirsty Whiten (visual artist), Mamoru Iriguchi (theatre maker), Maria Oller (theatre director). Presented in partnership with Cove Park. 2016 (March): Cromarty Arts Trust. Artists: Anne Milne (film-maker), Annie George (playwright/director), Bill Thompson (sound artist), Merav Israel (choreographer), Ros Steen (voice teacher), Shona Reppe (performer/ theatre-maker). 2015: Cove Park. Artists: Catrin Evans (theatre maker), Kate V Robertson (visual artist), Pernille Spence (visual artist), Scott Twynholm (composer), Zoe Irvine (sound artist). Presented in partnership with Cove Park. 2014: Cromarty Arts Trust. Artists: Claire Pencak (choreographer), Ian Waugh (film-maker), James Wyness (composer), Janie Nicoll (visual artist), Su Grierson (visual artist). 2012: Lyth Arts Centre. Artists: Alan McKendrick (playwright/director), Christine Devaney (choreographer/director), Janie Nicoll (visual artist), Linda McLean (playwright), Michael John McCarthy (composer/musician).